Born: 19 November 1868, Edinburgh, Scotland, United Kingdom. Died: 24 January 1919, Cape Town, South Africa. George Steuart Corstorphine, geologist, was the eldest son of John Corstorphine. After qualifying as a teacher he taught in schools in Birkenhead and Edinburgh for two years. He then entered the University of Edinburgh and in 1891 received the degree Bachelor of Science (BSc) in biology and geology. He was a medallist in geology and mineralogy at the university, and was awarded the Baxter Scholarship in Natural Science (1892) as well as the Falconer Memorial Fellowship in Geology and Palaeontology (1892-1895). From 1892 to 1895 he was assistant to professor James Geikie, taking charge of practical classes and demonstrations in geology and petrology at the University of Edinburgh, while at the same time he lectured on geology at Heriot-Watt College in the same city, and spent several months each year at the University of Muenchen, attending lectures and doing research in petrology. He obtained the degree Doctor of Philosophy (PhD) at Muenchen for his thesis on some of the intrusive rocks of the island Arran, Die Massengesteine des suedlichen Teiles der Insel Arran, Schottland, published in Vienna in 1895. 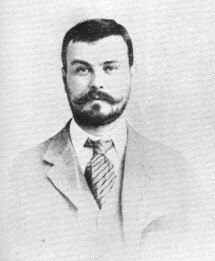 Corstorphine was appointed as the first professor of geology and mineralogy at the South African College, Cape Town (and the first in southern Africa) in December 1894. Taking up his duties at the beginning of 1895, he directed the College's mining course and also gave public lectures on geology. He was very successful as a teacher and was a most energetic and able member of staff. From January 1895 he was also appointed honorary keeper of Geology and Mineralogy at the South African Museum, where he was assisted by Miss Maria Wilman*. He collaborated with L.A. Peringuey* in archaeological field work and provided insight into the geology of the archaeological deposits. The lack of coordinated information on the geology of the Cape Colony led him to urge the government to fund a systematic geological survey. Following the recommendations of a select committee the Geological Commission of the Cape of Good Hope was appointed to administer such a survey. From November 1895 to 1902 Corstorphine was a geologist (from 1901, director) to the Commission, with A.W. Rogers* and E.H.L. Schwarz* as field officers. He had little time for field work himself, but wrote on the correlation of the geological formations of the Cape Colony in the commission's Annual Reports for 1896 to 1901. He served on the Council of the University of the Cape of Good Hope from 1897 to 1903, and again from 1916 to 1918, and as an examiner in physical geography (1897) and geology (1903, 1915). Corstorphine left the Cape Colony in March 1902 to become the first consulting geologist to the Consolidated Goldfields of South Africa, Ltd, the first mining group in South Africa to make such an appointment. As co-author with F.W. Hatch* he participated in writing The geology of South Africa (London, 1905), the first local textbook of its kind. A second edition appeared in 1909. Also in 1905, Hatch and he gave the first scientific description of the famous Cullinan diamond, in a paper read before the Geological Society of South Africa on 13 March that year, and published in its Transactions (Vol. 8, p. 26-27) as well as in British and American geology journals. In 1909 Corstorphine established a private consulting practice in Johannesburg. In 1913 he accepted an appointment as principal and professor of economic geology at the South African School of Mines and Technology in Johannesburg, a position he held to his death in 1919. In 1918 he was the first chairman of Senate of the newly established University of South Africa. Corstorphine was a Fellow of the Geological Society of London and of the Geological Society of Edinburgh. He joined the South African Philosophical Society in 1895 and was elected a member of its council in July that year, serving to 1898. When this society became the Royal Society of South Africa in 1908 he was elected one of its Fellows and served on its council from 1916 to 1918. He was also a founding member of the South African Association for the Advancement of Science in 1902. Though elected as a member of its first council, he resigned this position, perhaps because of his move to Johannesburg. However, he soon resumed an active role, serving on council during 1903/4, 1904/5 and 1909/10, as president of Section B (which included geology) for 1904, and joint editor of the Association's Report for that year. In 1903 he also joined the Chemical, Metallurgical and Mining Society of South Africa. And in 1917, a mere two years before his death, he became a member and vice-president of the newly established South African Geographical Society. Corstorphine was an active member of the Geological Society of South Africa for many years, serving as honorary secretary in 1903-1904, 1905 and 1910-1915, and as president in 1906. His presidential address dealt with the geology of South African scenery. He was a person with great vision and many interests in geology, including diamond studies. For example, he assembled an important collection of kimberlite samples and the nodules of ultra-basic rocks included in it. In 1904, as his presidential address to Section B of the South African Association for the Advancement of Science, he delivered a comprehensive paper on "The history of stratigraphical investigation in South Africa", a topic to which he had himself made some contributions. It was published in the Association's Report for 1904 (pp. 145-181). Several other important contributions by him were published in the Transactions of the Geological Society of South Africa. These included "The geological relation of the old granite to the Witwatersrand Series" (1904, Vol. 7, pp. 9-12); "The petrography of the Witwatersrand conglomerates, with special reference to the origin of the gold" (1905, Vol. 8, pp. 140-145, as co-author with Hatch); and "The occurrence in kimberlite of garnet pyroxene nodules carrying diamonds" (1907, Vol. 10, pp. 65-68). To commemorate his services to South African geology, the Geological Society of South Africa instituted the Corstorphine bronze medal to be awarded annually to the student judged to have produced the best masters thesis in geology at any South African university. Corstorphine was maried to Clara Ursula Hoffmann, with whom he had a daughter. Anhaeusser, C.R. (ed.) A century of geological endeavour in southern Africa (pp. 15, 20, 115-117, 181-182, 258-259, 466). Johannesburg: Geological Society of South Africa, 1997. Cape of Good Hope. Report of the South African College Council..., 1894, 1895. Chemical, Metallurgical and Mining Society of South Africa. Journal, 1904/5, Vol. 5, Members). Council for Geoscience. Catalogue of publications of the Geological Survey and government publications on the earth sciences (compiled by R.R.M. Price). Pretoria, 1997. Dictionary of South African biograpy, Vol. 1, 1968. Murray, B.K. Wits: The early years. Johannesburg: Witwatersrand University Press, 1982. National Archives, Pretoria (TAB), Source MHG, Vol. 0, Ref. 39611, death notice, George Steuart Corstorphine. [Obituary]: George Steuart Corstorphine, BSc, Ph.D. Quarterly Journal of the Geological Society of London, 1919, Vol. 75, pp. lxi-lxiii. [Obituary]: The late Dr Geo. S. Corstorphine. Proceedings of the Geological Society of South Africa, 1919, Vol. 22, pp. xvi-xix. Proceedings of the Geological Society of South Africa, 1915, Vol. 18, p. xiii and 1920, Vol. 23, p. xii: Past presidents; past secretaries. Ritchie, W. The history of the South African College, 1829-1918. Capetown: Maskew Miller, 1918. Royal Society of South Africa. Transactions, 1908-1910, Vol. 1, list of Fellows and members; 1925, Vol. 12, Minutes of Proceedings. South African Association for the Advancement of Science. Report, 1903, 1904, 1910. South African Geographical Journal, 1917, Vol. 1(1), pp. 36-37: List of members. South African Philosophical Society. Transactions, 1890-1907, Vol. 8-10, 17: Lists of members. Summers, R.F.H. A history of the South Africal Museum, 1825-1975. Cape Town: Balkema, 1975. University of the Cape of Good Hope. Calendar, 1897/8-1916/7.